We’re about a month out from The Last Jedi, which Disney is apparently so thrilled about they’ve decided to give director Rian Johnson his very own Star Wars trilogy to do what he will with. 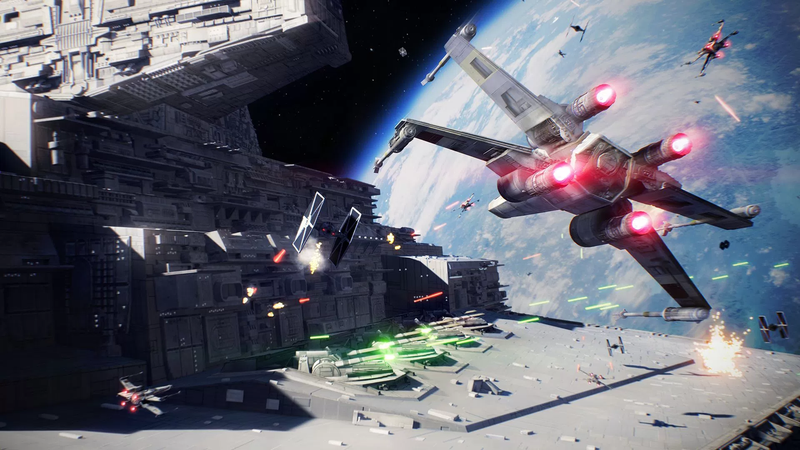 Until then there’s Star Wars Battlefront 2, the first game since Disney purchased the license to feature a true single-player story campaign. The micotransactions might be a mess at the moment, but the pull of a new drama set in a galaxy far, far away told through the barrel of a blaster rifle is hard to pass up. If you do pass it up though, might I recommend VA-11 HALL-A? The cyberpunk visual novel hits the Vita this month proving that Sony’s handheld still has at least one thing Nintendo’s Switch hasn’t got. Everyone told me the game was amazing when it came out on PC a couple years ago, and I’m excited to finally have it on the perfect little platform for trading stories with Norse-inspired aliens over space booze..